Gardens. This was a grand place for weary Palace-goers to rest, relax, socialize or simply take in the seasonal beauty. The Sunken Gardens was a small part of the 2,000,000 plants and trees that were planted for the Fair. 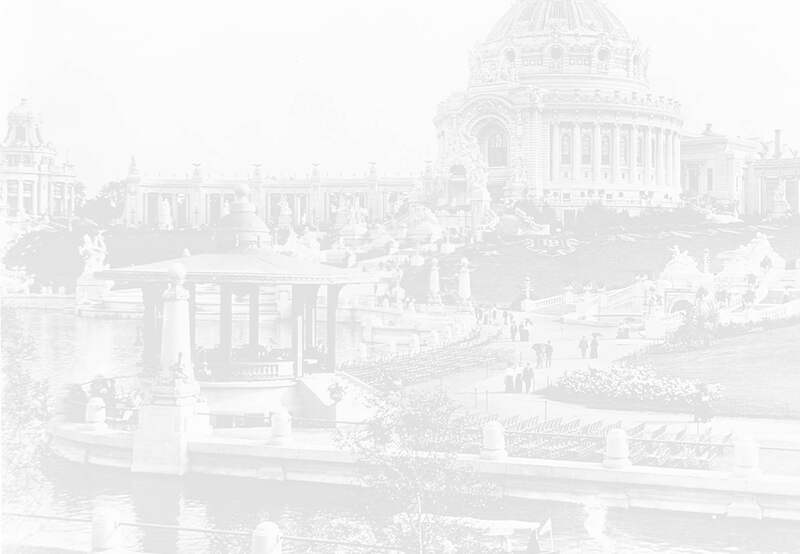 It was told that the Chicago Columbian Exposition had several grand views of perfect beauty; many stated that the St. Louis Exposition had hundreds. Originally, the garden was a lake. Engineers drained it and added soil to form the Sunken Gardens. After the Fair, the lake was again dug out and filled with water. To the right of the Sunken Gardens- the Palace of Liberal Arts.